A pioneer in the field of E-Discovery and Privacy Law in Puerto Rico, for the past eight years Mr. Mercado has been addressing the call of formal instruction to Puerto Rico’s legal practice and contributed to the advancement of electronic discovery competence by designing and teaching the first course of its kind as an adjunct professor at two of the island’s major law schools. 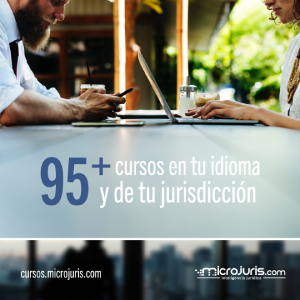 As part of this effort, Mr. Mercado has also contributed in setting the standard for Continued Legal Education seminars in this novel area of law and, in that span of time, designed, established and trademarked an online website to assist colleagues and members of the private sector understand and confront the challenges that arise as a result of electronic discovery in litigation. After obtaining his LLM in E-Discovery and Computer Privacy at Columbia University in the city of New York, Mr. Mercado obtained the designation of “Certified Information Privacy Professional” by the International Association of Privacy Professionals in Europe and the United States, becoming the first attorney in Puerto Rico as per the IAPP with said qualifications. Mr. Mercado is a frequent lecturer and has had multiple articles published by the FBA. He maintains a broad practice in general civil and commercial matters and specializes in advising and rendering assistance to an impressive roster of clients on the handling of electronically stored information and privacy issues; including the scope and extent of sharing personally identifiable information for commercial purposes, implementation of e-contracting procedures, cross border transfers, data collection and management practices of employee data.